Shortly after the publication of Selves In A Box, I asked Tamar Stone if I could interview her about the cards and how she envisions them being used. Tamar said that not only would she be happy to talk with me, but the best way to demonstrate how they work would be to guide me in a reading, drawing cards and working with them based on my own personal question. The following is my personal reading with Tamar. 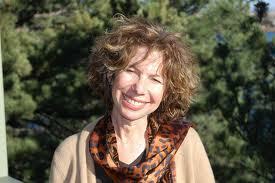 Click here for my interview with Tamar about Selves in a Box. Tamar recommended to me a three-card spread called "entering the mystery," and I framed my question (with her expert help in clarifying) as "How can I best meet the challenge of 2012 and what parts of me will support me in that?" I pulled cards (and placed them face down) to represent the "known," the "unknown or shadow," and "the part of me that can best support me on the journey." I pulled The Adventurer (the known), The Spiritual (in the shadows), and The Teacher (moving forward). What struck me so strongly and immediately about these cards was how open they are to so many possibilities of understanding and experience. Many people could draw those same three cards, and each could follow the imagery into a different journey and direction. 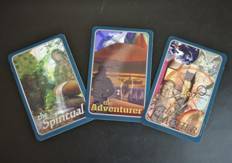 When I looked at The Adventurer card, I was drawn into the image of the woman in water, venturing into the deep, into the Unconscious, into an inner journey. This was very much in harmony with a feeling I already had about this year, that it is a time of depth for me, and inner exploration. I told Tamar it feels it's saying to me, "This is not a year to get carried along - you need to have some adventuring energy, and be willing to venture forth." As a guide, Tamar was definitely very appreciative of my insights about myself and then also read to me the portrait of The Adventurer from the The Guide (book) that comes with the deck, so that I could meditate on that as well. Someone else might draw this same card and focus on the hills or the airplane or the hot air balloon - all parts of the collage of The Adventurer card. I saw how these cards are created in a way that is so in alignment with how we work with selves in Voice Dialogue - everyone has some part of them that ventures forth in some way, but the expression of that energy is unique to each individual and the work always honors that difference and honors how the individual perceives that part of who they are. This was the experience I had with each card in my spread - that they each opened a door to reflection, discovery, insight, "ahas". Nothing was limiting. In fact, contrary to the name, I felt this process let my selves out of their boxes opening them and me to new possibilities. This card especially has an amazing depth of field, and I love how this encourages the viewer first and foremost to feel in, see deeply into the image (no wonder these cards are working for people who don’t even know the Voice Dialogue work!) I focused on a figure in the middle, a man stepping across... something... It’s very clear that for each person using these cards, and really for each reading, one’s attention could be drawn by a different element in these complex images. This is such an interactive process, colored as much by one’s internal thought process and depth of receptivity as by the images on the individual cards that one really would never be working with the “same” card twice. Tamar: Do you have any sense of how that might show up for you, how that shadow piece might show up in your life? Miriam: I feel it somewhere in my psyche watching me, the way family watches you somewhere in your psyche. From my childhood spiritual was something to be embarrassed about  not logical, not reasonable. Tamar: Do you have a sense how that might still sometimes get you? Miriam: It’s interesting... when you ask that, my sense is right now is that it is unconscious  why else would it show up in this unknown, unconscious shadow place? Now this makes me wonder how this connects to or drives what I see as ‘laziness’ around my spirituality. Would I be more dedicated, would I be more consistent if there wasn’t that unconscious connection to my family? Tamar: I love it! That’s the beauty of these images, that they can evoke something different than just the name, ‘spiritual.’ I’m curious about the piece regarding family of origin and the mind and the lack of spirituality in your lineage  how that informs your question. Miriam: I think the biggest thing I’m getting from it is to start being a lot more conscious in relation to the spiritual, more present. Tamar: So when you think about this in relation to your question, how does that feel? Tamar: Really living the teaching, making it yours. In a way it really allows a new relationship with your Teacher if you’re not identified with teaching. It is interesting that that’s who’s showing up right now, but it’s offering this new way of being... like with the energy, not just the identity. As I listened to Tamar read the definition/story about the Teacher from The Guide, I realized that I particularly enjoy the distinction between personality level and essence level that Tamar has written about for each of the cards. Tamar: What also occurs to me is that by having taken a sabbatical, it really allows you to live your teaching. I think it could be very exciting to have this energy available in you and as you and for you in relation to your question as we move into 2012. If that feels complete, then what I’m going to recommend is place the cards back into the deck  something I really recommend to complete the whole process, so it’s not left open. 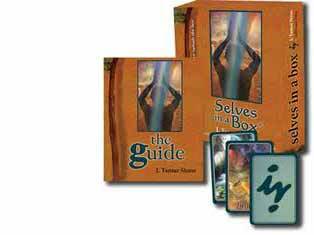 Click here for my interview with Tamar about Selves in a Box.